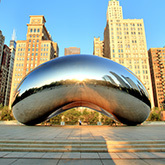 Partners Ron Klasko and Anu Nair will be speaking at this two-day conference in Chicago, IL. Combining AILA’s experience in offering world-class continuing legal education and unparalleled networking events for immigration law professionals and IIUSA’s unmatched expertise on the EB-5 investor visa program, this two-day conference promises to be the most important EB-5 event of the year! Whether you are an immigration attorney, a regional center representative, a provider of financial services, or otherwise involved in the EB-5 industry, this conference will offer unprecedented opportunities to learn, network, drive business development, and have fun at social events in one of America’s most vibrant cities. The source of the investor’s funds continues to be a central component in all EB-5 petitions. The panelists will discuss the latest trends and issues from recent USCIS adjudications, including RFEs and NOIDs on Chinese source of funds (SOF), as well as frequently asked questions by investors of other markets. • Is It Advisable to Accept Gifts from Non-Family Members? • South Korea: Is the Rent Deposit (“Key Money”) an Acceptable SOF? • New Policy Memo (Straight Denials): Does It Impact EB-5 SOF Documentation? With legislation and liaison unlikely to address errors in USCIS legal interpretations and delays in adjudications, litigation is increasingly the best (or only) option. The panelists will review recent litigation trends and decisions and preview the expected issues to be litigated in the coming months and years. The panelists also will discuss suits against USCIS, as well as suits initiated by aggrieved investors. • Motion to Reopen, Appeal to the Administrative Appeals Office, or Federal Court: Which Is Best and When? • When Is the Right Time to File for Mandamus?